No petrolhead in the world needs an introduction to the Nissan GT-R. Disturbingly fast and ridiculously awesome, the GT-R holds a unique place in the world of motoring. Relatively practical and cheaper to the cars it’s usually compared with, the GT-R may just be Nissan’s only contribution to the world of supercars. This intoxicating cocktail of characteristics makes it a very interesting animal altogether, powerful and glorious, yet not the leader of the pack. However, the GT-R didn’t pop up in the middle of the night out of nowhere. It’s a carefully crafted successor to a long lineage of cars worthy of their own plaques in the automotive hall of fame. If you were unaware of the GT-R before just now, I’d like you to meet Godzilla. It all began with the 1969 Nissan Skyline GT-R, the first ever to flaunt Gran Turismo Racer as its name. With a 2.0-litre 160 bhp engine, it was marketed alongside the Nissan R380 racecar, to showcase the Skyline’s racing heritage. A replacement came in 1973 but due to a gas crisis in the early 70s, demand for sports cars plummeted, and only 197 cars were produced. This was the last GT-R until 1989, when Nissan dropped the R32 on the world. The Nismo R32 eats your car for breakfast. Nissan designed the GT-R R32 to dominate Group A racing. Regulations required the engine to multiply its displacement by 1.7 putting the Skyline in the 4000 cc class. This further required the use of 10-inch wide tyres, so Nissan developed a special all-wheel drive system to assist it with traction. Then they realised that this added a 100 kg of weight. What do Nissan do next? They decided to put a 2.6-litre engine in, compete in the 4500 cc class with 11-inch wide tyres and a new engine block. And the result? A beast of a car producing a mammoth 600 bhp. This kind of stuff only happens in storybooks, and at Nissan’s engineering labs. The all-wheel drive system and the 2.6-litre made its way on to the production R32 GT-R. But due to Group A homologation rules, Nissan was required to sell a series of the Skyline GT-R which more accurately reflected the car they use in Group A racing. This series was launched in 1990 as the Skyline GT-R Nismo edition (Nismo or Nissan Motorsport being Nissan’s high performance division). 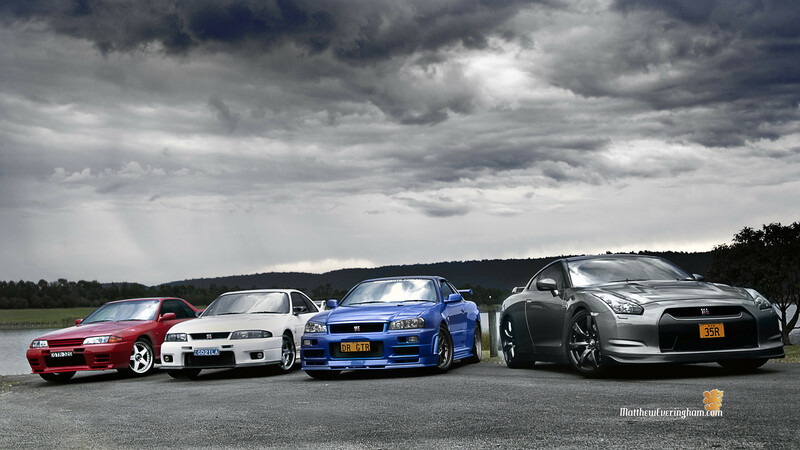 500 Nismo R32 Evolution models were sold to the public and 60 were held by Nissan to be made into race cars. A lighter car with an upgraded engine came with the GT-R N1 in 1991 designed for Group N racing. To celebrate the success of the R32 in both Group A and Group N racing, 1993 saw the introduction of an even higher performance model, the Skyline GT-R V-Spec (Victory Specification) and the V-Spec II in 1994. Performance stats like those of the R32 GT-R were unheard of in a car which cost less than $35,000. 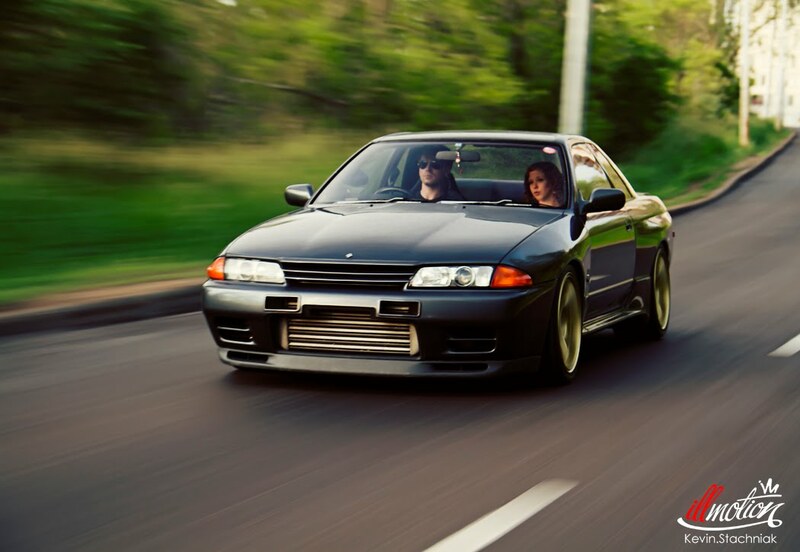 The R32 was a humongous success selling almost 44,000 cars. The R33 GT-R came in 1995 with a few powertrain refinements but the same engine as the R32. The V-Spec edition had a sport suspension with lower ground clearance, a new all wheel drive system with an active limited slip diff, and 4-wheel independent ABS. Late 1997 saw the arrival of the high performance Nismo R33 400R with an upgraded engine producing 400 bhp and 470 Nm of torque. Capable of hitting 97 kmph in 4.0 seconds and a top speed of over 300 kmph, only 44 400Rs ever saw the day of light making it a collector’s item. The R33 was the first production car to lap the hallowed Nürburgring racetrack in under 8 minutes. 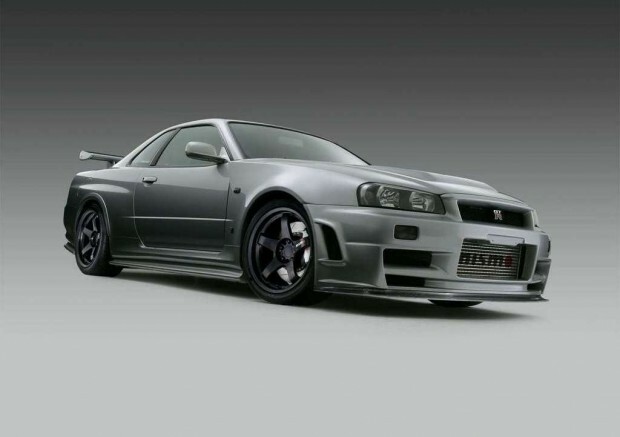 1999 saw the arrival of the arguably the most influential Skyline GT-R to date. The R34 Skyline GT-R and its numerous variants are the reason the GT-R name still exists today, and how. An instant hit with the growing tuner car culture in Japan and the US, the R34 was immortalised in pop culture through the Fast and the Furious films, the Initial D manga series and the Gran Turismo video games. The standard GT-R opted for a 2.6-litre engine and all wheel drive system. A major change was the 5.8″ multifunction display on the dashboard which tried to satisfy the inner geek in all of us by showing different live readings of engine and vehicle statistics. Multiple high performance variants were introduced such as the V-Spec and V-Spec II having racing suspensions, revised ECU maps and underbody diffusers. 2002 saw the coming of the GT-R V-spec II Nür and the Skyline GT-R M-spec Nür, named after Nürburgring where the Skyline was developed. The V-Spec II Nür had over 330 bhp under the hood, but due to its unbelievable tunability, tuners have been able to churn out over 500 bhp from even standard R34 GT-R’s. Over 3 years, the R34 was released in a total of 9 variants selling more than 12,000 cars. The R34 was a real gamechanger for the Skyline range. The GT-R was suddenly an international underground phenomenon. Home-tuned street racer GT-Rs were popping up all over the States and Japan. It was successful on the track as well. People were amazed how Nissan had managed to milk so much performance from a relatively small engine and a relatively cheap mid-range car. There was genuine disappointment among the automotive world and genuine enthusiasts when Nissan announced in 2002 that the GT-R name would no longer be associated with the Skyline. The Skyline still exists in form of the Infiniti G35 range, but its not really a Skyline, is it? Tuners went back to their Toyota Supras, Honda Civics and Mitsubishi Evos quite baffled. Once in a while a GT-R R34 V-Spec pops up in the ‘used cars’ section of the classifieds, and its not long before a 30 year old banker is standing in his garage with a spanner in hand, admiring the car he dreamed of owning when he was a 17 year old. As for the successor to the Skyline GT-R, Nissan had a few tricks up their sleeves. More on that in part II, to be out soon.